Tel-Aviv, 1952. By Shlomo and Moshe. 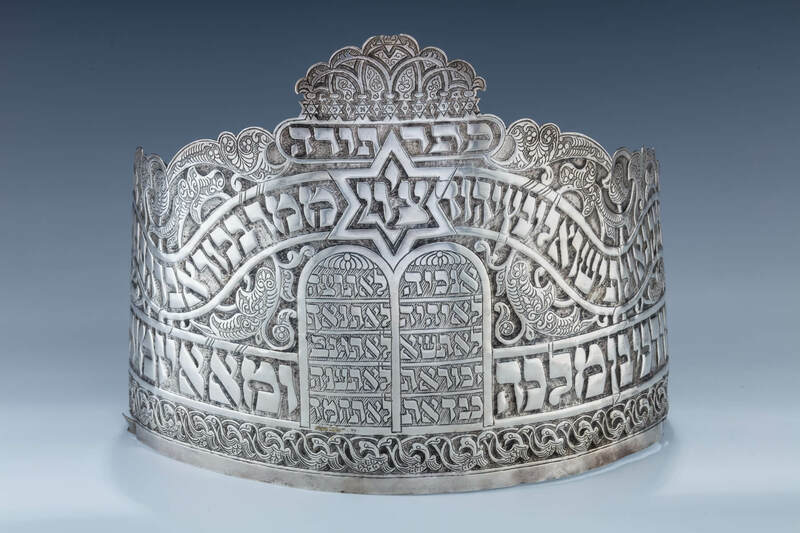 Hand chased in Persian style: THIS WAS DONATED (MADE HOLY) TO THE HOLY CONGREGATION GEULATH YISROEL YABETZ HASHEM FROM THE RABBI BECHOR AVRAHAH BEN CHAVIF and LEAMNAH NISSIM MORDECHAI, SON OF MALKA, AND MEAZIMIRYALADA, DAUGHTER OF LOONA TISHREI, 1952. 8” tall.